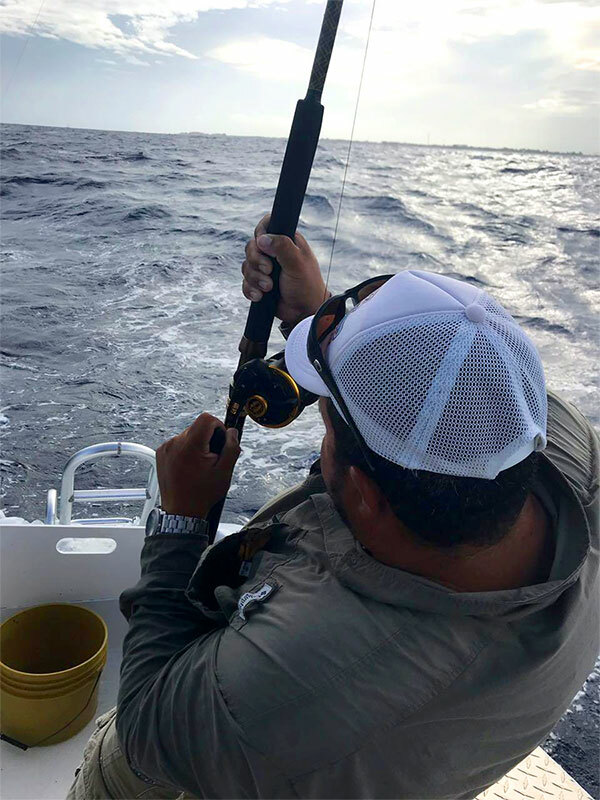 Half day reef fishing is a total of four hours. You can do a half day in the morning or a half day in the afternoon. The time we start fishing is flexible. On a half day reef fishing you can expect to catch some delicious snappers, Jacks and Barracudas which are safe to it here in Belize. We also provide full day reef fishing which is a total of eight hours. Rods and baits are included in our fishing trips. Want to do a little more than just fishing? How about a full day of fishing, beach bar-b-q and snorkeling or guide will gladly prepare for you your freshly catch island style. Maximum person for this trip is four. If there are more than four and extra charge will be added. All our boats for reef fishing come with a canopy and life jackets. We provide half day or full day fly fishing. Near our flats you can bring in beautiful bone fish, permits and even tarpons. Maximum person for this trip are two. 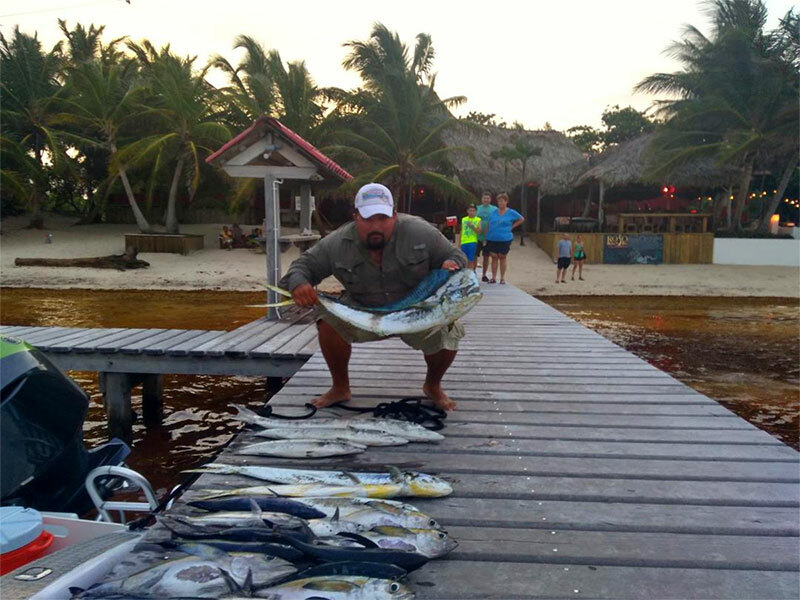 Try the adventure of deep sea fishing in our deep blue waters of Belize. 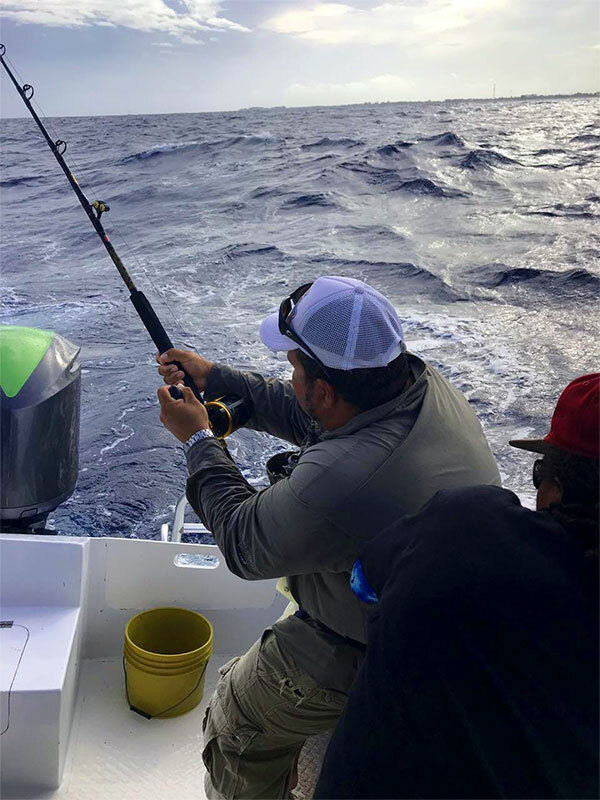 Enjoy catching a Wahoo, Sailfish or maybe a Blue Marlin. Enjoy a half day or a full day deep sea fishing on board our comfortable 41 foot Excalibur. Enjoy night fishing under our stars and make a night to remember. We leave a little before sunset so we can be settled when the night comes in. Total time fishing is four hours and our chances of bring in a grand slam are high.